PL: Could you introduce yourself please? 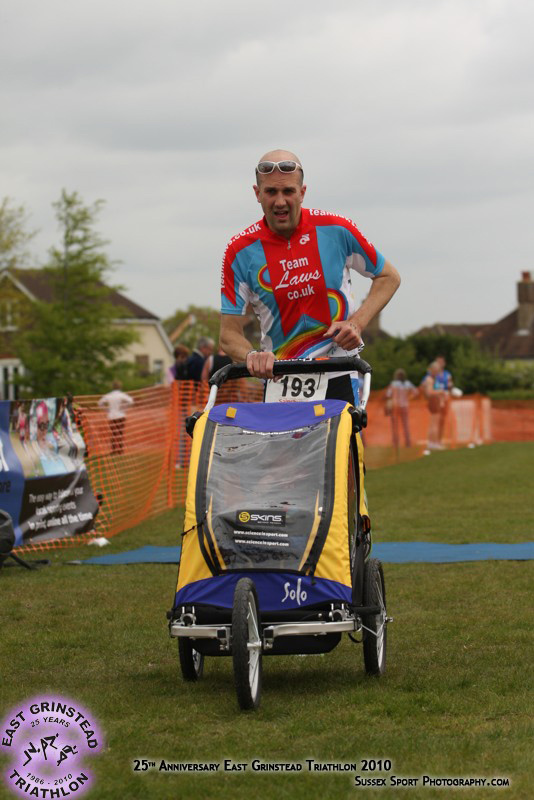 Ben: I am a member of the Bridgetown Cona Testa Triathlon Team (BCTTT) and my Son and I are part of Team Laws ( www.teamlaws.co.uk). I work for the London Ambulance Service. My family has had direct help from them both and the work they do is of huge importance. I am very passionate about raising their profile and they are in desperate need of fundraising. PL: How long have you been racing? Ben: I raced my 1st season of Tri’s 2 years ago, I had last year off due to my son being born prematurely and he was in and out of hospital so I am in my second season. I am a novice in every respect. 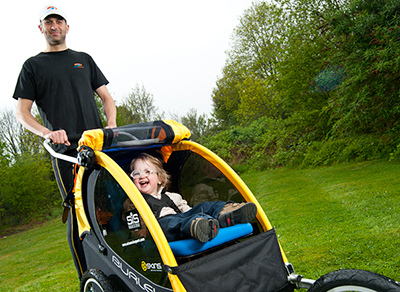 Ben: I was looking at a video of team Hoyt – the father and son team who race in the USA and I wondered if it was possible for me to do the same with my son – a chap called Darren Roberts contacted me and agreed to help me and the rest is history. 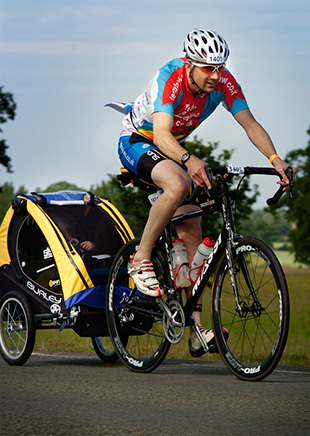 This season I am racing with my son for Team Laws – we have already run a 10km road race, competed in the East Grinstead Triathlon, we have an Olympic distance Triathlon in Windsor in 2 weeks and then the Cowman 70.3 in July. We plan to prop up the results sheets in many races all season. 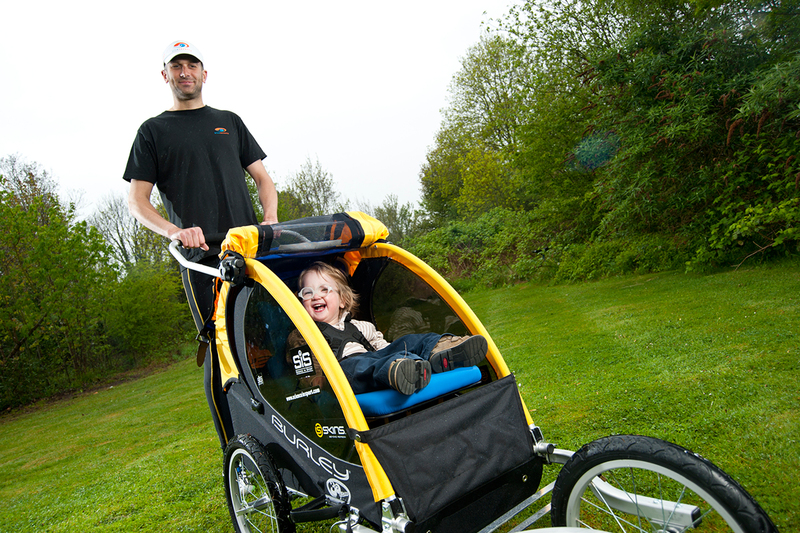 Ben: When time allows I tend to disappear into the hills of Surrey with friends or take my son out – pulling him about in his specially adapted trailer – it’s hard work! I cycle to work as often as I can and currently do about 60- 100 miles a week – I would love to do more but sadly work gets in the way. PL: What equipment do you use? Ben: I have a Massi Carbon DHT Pro and I run Pro-Lite 50mm Carbon tubs. PL: What makes this product well suited to your use and how does it perform for you? Ben: Well apart from looking the part they haven’t put a foot wrong. Very aero and very fast. I am looking to get the new Rome Carbon Wheelset and a 90mm rear disc and have team laws on it – if they perform anything like the 50mm tubs – I’m going to be much faster! In terms of bang for your buck they are honestly right up there – no others come close. I am tempted to get a Pro Lite TT bike – I love the Modena carbon TT frame… just look at it!! Team Laws and Pro-Lite – a perfect combination. PL: Your team is definitely one of the most special teams we have had a chance to interact with so far. Where can we read more about you and your team? 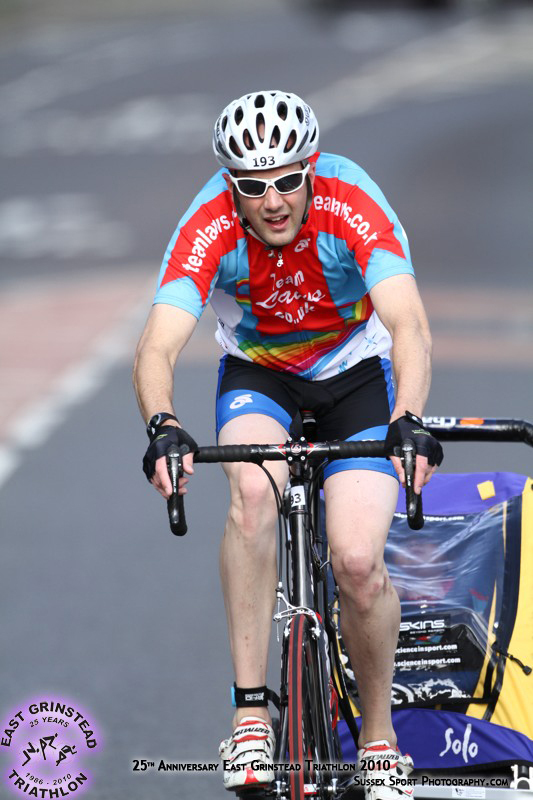 Ben: Please take a look at www.teamlaws.co.uk to keep up to speed with the races and we would be grateful for any sponsorship we receive. Team Laws is planning to do a Ironman race next year ( 3.8km swim, 180km bike and a 42.2 km run) – we are also going to be entering many road races and TT’s so look out for us at races. Bridgetown Cycles www.borntobike.co.uk/home have been a huge help and I must say a massive thanks to Mike who has helped with the bike and the trailer that we have since had adapted for Ewan’s specific needs. We are also on Facebook so drop in and keep up to speed with what’s going on. Just search for Team Laws.